It’s been a while but I’m finally getting back to Vietnam. The place that gave me a terrible, incurable case of itchy feet, among other various tummy ailments. I haven’t held that against you though, Vietnam. You’ve changed a lot over the last few years and I can’t wait to rediscover Ho Chi Minh City once again. I’m sure I’ll fear for my life crossing the road and spend a lot of time marvelling at the perfect chaos of it all. Just like the first time. It will be great to go travelling again. I know I’m seven weeks into moving countries, the irony is not lost on me. Packing up and moving your whole life just so you can put it on hold to go travelling. The two are so different though. Moving is taking your life with you and travel is leaving it behind. As much as I love my new life in Singapore (#blessed #grateful #vomit), I’m looking forward to leaving it behind for a weekend. Not worrying about the everyday things like buying groceries and putting off cleaning the bathrooms will be nice for a few days. I’m hoping to spark some more creative writing too. This month I’ve been trying to write a novel (more here), I’ve been aiming to churn out 3 000 words a day on that and also 1 000 words on my thesis. It’s been fun and quite unsettling to see what I’m capable of when I force myself to do it, but it does lose a little of the magic, for want of a better, less wanky word. I suppose that is inevitably what happens when you do what you love for work, it is called work for a reason. Anyway, in short you won’t hear from me for the next four days. 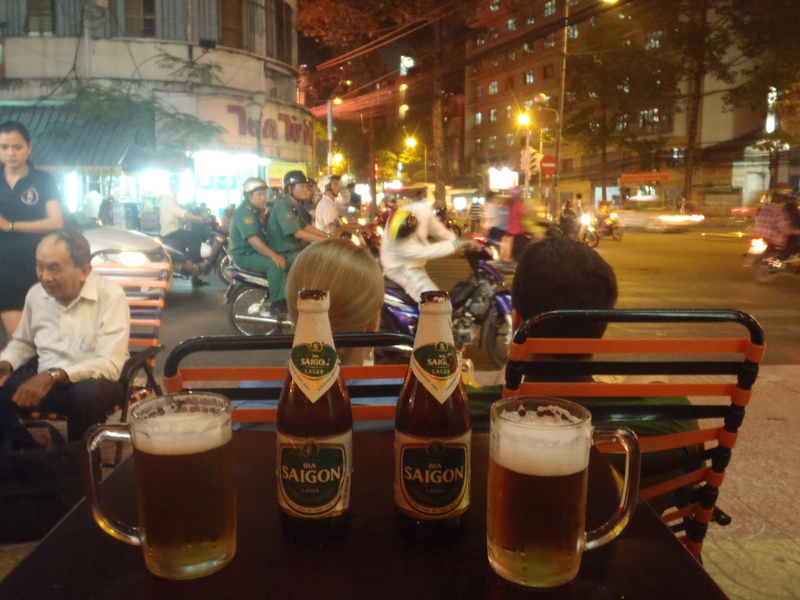 I’ll be sitting on the street in Ho Chi Minh City with a cheap beer, a pen and a notepad. Wish you were here!